Lukoil is one of the Russia's largest private oil company. Its focus on exploration and development of oil and gas, petroleum refining and petrochemical production. The Lukoil is very interested in our upsetting machine, and take our hydraulic upsetter contrast with the traditional mechanical upsetter, concluded that our equipment is more humane, more energy efficient and more automated. 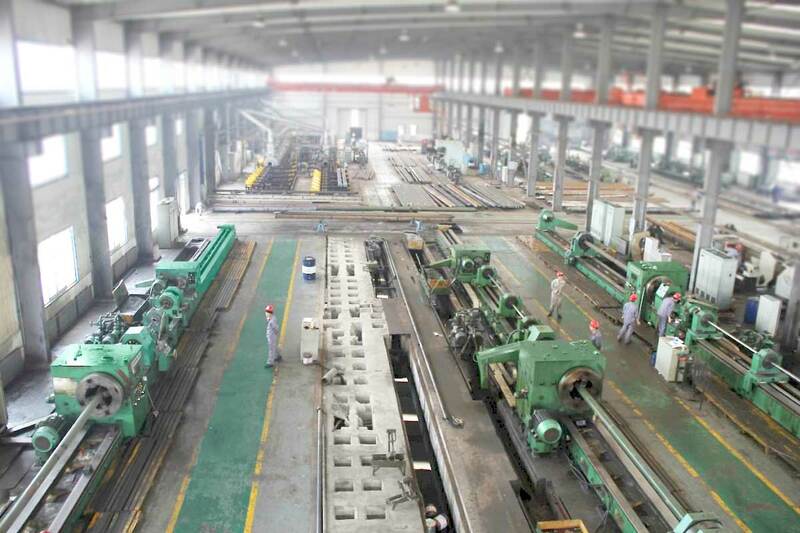 So they buy a set of equipment production line. They require time is tight, our factory increased efficiency. We used about 5 months to produce an whole automatic production line and commissioning is completed. Our technicians arrived at the site to commission the machine, the equipment was working properly and the quality of the finished workpieces was recognized by their technical team, and Lukoil project manager Mr. Smith said he hoped to maintain a long-term relationship if possible and was very satisfied with our products.